Social video experts Unruly reviews the latest viral ad from Samsung. What’s the most annoying thing that could happen to a smartphone user? Not being able to connect to a network and dropping your device down the toilet are certainly high up on the list. But one of the most common (first world) problems mobile phone users have to deal with is having to constantly recharge your phone while you are on the move. According to Samsung, it’s an issue that particularly affects Apple iPhone users. 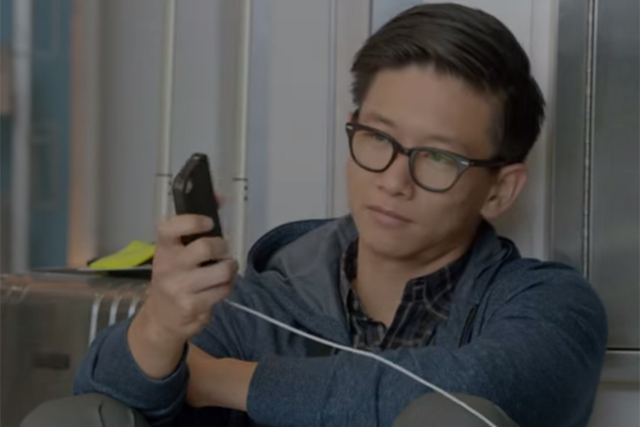 In its latest ad campaign, the tech giant aims a dig at the iPhone's battery life, branding users "Wall Huggers" for their dependence on wall sockets. The commercial depicts desperate iPhone users strewn across airport floors charging their devices, while casting envious glances across at their Samsung-wielding fellow passengers taking advantage of the S5's Ultra Power Saving Mode and removable battery. Of course, it’s not the first time Samsung has openly attacked fierce rival Apple in one of its ads. "The Next Big Thing Is Already Here", in which it accused Apple fans for being out of touch, got the ball rolling back in 2012. "Graduation Pool Party" also suggested Apple was losing its cool, while recent TV spots have attacked the iPad’s price and performance compared with Galaxy tabs, prompting other brands such as Microsoft, still nursing the scars of its Mac V PC bruising, to join in the name-calling assault on the once most popular kid in the school playground. Such a negative advertising strategy has certainly attracted a ton of criticism, but it’s also won Samsung an army of new fans. In fact, Samsung was the number one social video brand of 2013; no other brand’s commercials attracted more shares last year. Meanwhile, Apple – a brand once hailed for its advertising creativity – did not even appear in the top 20 and was recently replaced by Google as the no.1 most valuable brand by Millward Brown. In fact, in the recent Apple-Samsung patents trial, it was even revealed Phil Schiller, SVP of worldwide marketing, considered firing the company's long-time advertising agency, TBWA\Media Arts Lab, after watching Samsung’s "The Next Big Thing Is Already Here". Whether Apple will be losing any sleep over "Wall Huggers" is another matter altogether. So far it’s managed a respectable 50,000 shares in just under a week, and certainly the ad gets its message across clearly, thanks in no small part to the very memorable, if not particularly original title (the term "Wall Huggers" was first coined by Blackberry CEO John Chen back in March). Unlike increased processing power or camera specs, battery life is an issue that even the least tech-savvy among us can easily understand. No need to do side-by-side comparisons to see the difference. It’s a simple message that could well stick in your brain the next time you are in the market for a new smartphone. It’s also timely, with airport security recently announcing that passengers will need to show that their smartphones can power up before they fly. However, the ad lacks the biting humour of "The Next Big Thing Is Already Here" or even "Graduation Pool Party", which means it is unlikely to trouble the higher reaches of the Unruly Viral Video Chart rankings too much. It could make you smile, but it’s unlikely to make you laugh. Consumers need to invest emotionally in a campaign for it to really resonate on the social web, and "Wall Huggers" just doesn’t pack enough punch to really hurt its opponent. As any good boxing coach would tell you – if you swing, make sure it counts.